Welcome to the latest edition in our new series of short, educational summaries of forensic toxicology matters taken from actual TCAS, LLC, cases over the past 25 years. Each case summary is factual; however, identifying case information has been removed unless revealed through jury verdict reports. Although interesting to read, the purpose of these case summaries is to show how the application of toxicological principles can be used in forensic matters. On occasion, we will also be releasing summaries on new toxicological studies and regulations. TCAS, LLC, is sending this newsletter to all our past and present clients with the hope that it is of value in their professional endeavors. Dr. Sawyer retained by plaintiff's estate. A 57 year old male was found dead in his basement apartment located near Philadelphia, Pennsylvania. The decedent was fully clothed, had his glasses on with the Sunday paper nearby and was lying face down on the floor. 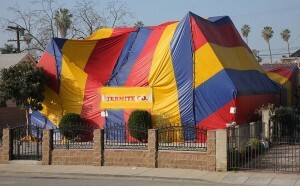 His past medical history was significant only for seizure disorder.Family members reported that the apartment had been treated for termites the day before the decedent's death by a nationally known pesticide application company.The decedent had remained inside the non-ventilated basement apartment while the pesticides were applied. Later that day, he complained of respiratory difficulties and abdominal pain with nausea. Due to the nature of this case, an examination of the body was performed by the coroner's office.The toxicology report revealed 2.6 ug/ml of phenytoin in the cardiac blood as well as methanol in the liver at 5.1% by weight.Phenytoin is an anti-convulsant agent used to control epilepsy and was within the range for desirable therapeutic results.Methanol is found in formalin embalming products and would be expected in a formalin-preserved liver sample but only at approximately 1.5% by weight (based on certified analysis).The coroner concluded that the cause of the decedent's death lay in whatever agent was sprayed around the decedent's apartment. Per Pennsylvania law, a pesticide application business must keep a record for each pesticide application, and such records must be maintained for at least three years.However, the pesticide-application company failed to keep records of the brand name and formulation of the pesticides used at the decedent's apartment.The company also failed to keep a record of the amount and dosage rate of the pesticides applied. In a legal context, the act of destroying, altering or hiding a document relevant to current litigation is known as spoliation. The legal system has established that when spoliation occurs, any inference that might be drawn against the offending party is permitted.In this matter, it was unclear as to the exact chemicals applied, quantity and dose due to the company's lack of records and their history of deliberately falsifying records.The applicator could only testify that he used Cy-Kick as well as the pesticide mixture that was left over in his truck's tank from the previous day. Methyl bromide is a colorless, odorless, highly toxic gas banned for use inside residential structures. Instead, it is used to sterilize buildings via a process known as fumigation.The building is evacuated and a tent-like structure is used to encapsulate the outside of the building.After treatment, the tent is removed and the poisonous gases are ventilated. Pets and humans can then re-enter the sterilized building. However, in this instance, the applicator failed to surround the building with a tented structure, ventilate the building or even evacuate residents. Application of just ounces of highly volatile methyl bromide within a closed, unventilated room would produce lethal vapor levels. After inhalation exposure, methyl bromide is rapidly metabolized to methanol in the liver. As a neurotoxin, this gas causes central nervous depression with respiratory paralysis and/or circulatory failure as the immediate cause of death generally preceded by convulsions and coma. The onset of symptoms is usually delayed with a latent period from 30 minutes to several hours.Due to a high odor threshold, most people will not realize a harmful exposure is occurring. The applicator testified that he used a pesticide called Cy-kick formulated from 99.9% petroleum distillates and 0.1% cyfluthrin. Respiratory and gastrointestinal abnormalities, such as those described by family members who communicated with decedent prior to his death, are consistent with cyfluthrin toxicity. Cyfluthrin exposure at high dose exposures prolongs sodium channel inactivation in human neurons. Peer-reviewed toxicological studies have documented profuse salivation, pulmonary edema, seizures, opisthotonos (spinal column bent forward such that a supine body rests on its head and heels such as was found in this case), coma and death at high doses. Dr. Sawyer provided forensic evidence based on the transformation of methyl bromide to methanol within the liver. This evidence indicated that methyl bromide may have been used to treat the apartment. Additionally, Dr. Sawyer provided sufficient peer-reviewed study evidence with respect to exacerbation of decedent's seizure disorder by defendant's admitted use of cyfluthrin within the unventilated basement apartment. The finding of opisthotonos was also consistent with cyfluthrin intoxication. While it could not be determined with absolute certainty which pesticide (or both) was responsible, both cyfluthrin and methyl bromide have the propensity to induce convulsions in an individual with an underlying seizure disorder. It was also noteworthy that the decedent was present both during and after pesticide application in the small, unventilated basement apartment. As the pesticide application company was guilty of spoliation, it could not argue against either of these scenarios. The matter settled favorably for the plaintiff's estate. Dr. Sawyer retained by Defendant. A teacher employed by a Florida school district was required to undergo random urine drug testing after being treated for cocaine addiction in August of 2009.After returning to work in December of 2009, the teacher underwent the testing as required with negative results for cocaine.In May, 2010, another random urine test was performed; again, with negative results.However, the school district had erroneously ordered a five panel drug screen rather than the more intensive nine panel drug screen. The five panel drug screen included cocaine, marijuana (THC, cannabinoids), phencyclidine (PCP - angel dust), amphetamines (including methamphetamines) and opiates (codeine, morphine, and heroin). The teacher was asked to return to the laboratory later that same afternoon for further testing. Unfortunately, he was not able to get back to the laboratory before it closed for the day. An officer of the school district became suspicious that the teacher was trying to evade detection, and he decided to have a hair sample test performed on the teacher the next day. The hair sample resulted in a positive finding for cocaine. However, the teacher claimed that he had not used cocaine in the last eight months. Forensic toxicologists who employ the use of hair samples for drug testing purposes must have a rudimentary understanding of hair biology. Human hair consists of approximately 65-95% protein, 15-35% water and 1-9% lipids. Both essential trace elements and heavy metals can be found in human hair. The hair growth cycle consists of three stages. The "anagen phase" is accompanied by an increase in metabolic activity, and it is thought that drugs and trace elements are incorporated into hair during this time. During the "catagen phase," cell division stops and the base of the hair shaft becomes fully keratinized. Finally, the hair follicle enters a resting period called the "telogen phase." During this phase, the hair shaft stops growing completely. Hair length and growth rate must be gauged. A 1993 study by M.R. Harkey indicates that the range of hair growth rates reported for scalp hair is between 0.2 mm/day and 1.12 mm/day or 0.27-1.53 inches/month.As a precaution, the study also notes that "although the growth rate of hair is generally reported to be 1 cm/month, the range of growth rates found in the literature exceeds this range by five-fold." Per the teacher, the laboratory technician collected three samples of hair up to 1/2 inch long from old growth ends. The teacher reported that he had thin, "slow-growing hair" that was usually cut every 2 ½ to 3 months by his barber. Deposition testimony of the barber supported this slow growth rate. At the time the hair sample was taken, the teacher was within a week of his next haircut. Photographs confirmed that the teacher had hair up to 3-4 inches in length. Based upon the generally accepted peer-reviewed studies, the lower range of hair growth is approximately 0.27 inches per month. 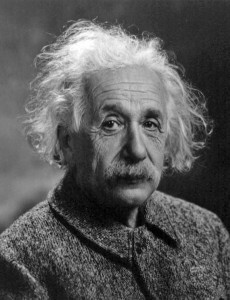 Thus, a hair length of only of 2.16 inches would have included hair produced nine months earlier. Unfortunately, the laboratory did not understand the concept of hair growth and incorporation of drugs during the anagen phase of hair growth. If the laboratory technician had collected a hair sample close to the scalp, this sample would have represented recent hair growth rather than growth during the teacher's pre-treatment period of cocaine addiction. Following a hearing in which this information was provided through Dr. Sawyer's deposition testimony, the pending dismissal of the teacher from the school district's employment was averted. Although hair represents a valuable matrix for the forensic analysis of drugs-of-abuse, heavy metals and environmental contaminants, specific hair length measurements and growth rate knowledge is required to accurately approximate the date of drug incorporation.